Bangalore is the capital city of the state of Karnataka in South India. It is an important destination for devotees and pilgrims all over the country and the world. Every year, the city receives millions of visitors, which include worshippers, local and foreign tourists, students and professionals. There are important schools, universities and international companies in Bangalore, especially those is the information technology (IT) industry. IT and software companies here are known and respected all over the world. While Bangalore boasts itself as a fast-growing modern city, it does not forget its traditions and historical treasures. It is home to a number of colonial buildings, palaces and temples, which are some of the major reasons why the city is a top tourism destination. Also on the must-see list of tourists are the famous gardens, waterfalls, and hills of Bangalore, as well as shopping spots, museums and recreational centers. Many of the tourist destinations are at the outskirts of the city. Vasanthapura is about 12 kilometers from Bangalore. 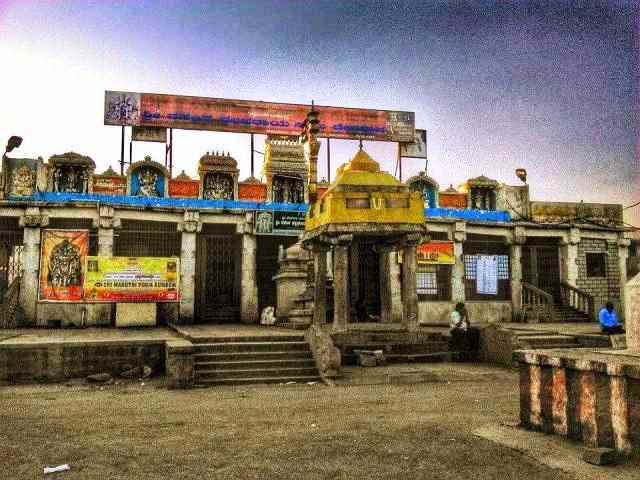 According to legends, construction of the famous temple on this hill was probably influenced by sage Mandavya, after the guru left his ashram near the Ganges River without notifying his disciples. His followers frantically searched for their missing spiritual teacher. They searched the entire country until eventually they found him meditating in one of the caves of Vasanthapura. Another popular story regarding the sage is about how he was wrongfully punished to death. According to folk belief, thieves placed stolen items inside the guru’s pocket while the saint was in deep meditation. Authorities found the stolen items on him, and therefore the king ordered for the guru’s impalement. Hinduism remembers this guru through these two well-known folk stories, and has closely identified the sage with Vasanthapura. The Cholas, believed to be the temple’s builders, were the early settlers of India as they established the Chola Dynasty in South India as early as the 3rd century BC or earlier. They ruled much of South India until the 13th century AD. They primarily settled near the Kaveri River. The Cholas were so successful that they were able to expand their dynasty to the Maldives and the banks of the Godavari River. The empire declined in the 13th century with the arrival of the Pandyas. In addition to Vasanthapura, other places of interest in Bangalore are Tipu Sultan’s Fort near the city market; Nandi Hill, a popular and picturesque picnic area where the Tipu Sultan Summer Palace is found; Vidhana Soudha, a granite building that served as the Legislative House of the State of Karnataka; Ulsoor Lake, just a few kilometers away from the city; and the city’s many temples, which include the Bull Temple, the modern ISKCON Temple, and Maruthi Mandir, among many others.